The United Arab Emirates and the United Nations signed a $50 million agreement Tuesday to rebuild the iconic al-Nouri Mosque and al-Hadba Minaret in Iraq. 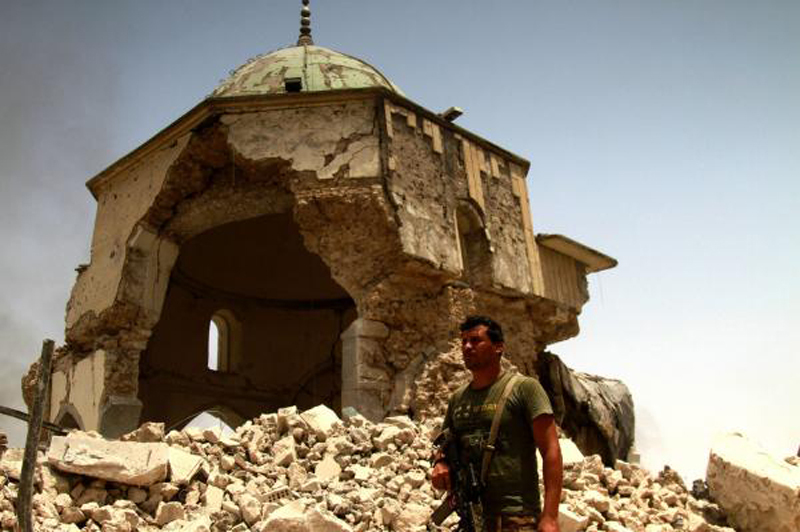 The UAE will provide the funding for the mosque, located in Mosul, which was destroyed by Islamic State militants as Iraqi troops retook the city. "This is a historic partnership, the largest and unprecedented cooperation to rebuild cultural heritage in Iraq ever," UNESCO Director-General Audrey Azoulay said in a statement. The project is the "flagship component" of UNESCO's initiative, "Revive the City of Mosul." The Al-Nouri Mosque and Al-Hadba Minaret were built nearly 850 years ago. It was from the mosque that Islamic State leader Abu Bakr al-Baghdadi made his first appearance in a video proclaiming the establishment of an Islamist "caliphate" in June 2014. The rebuilding effort is expected to take five years. During the first year, the project will focus on documenting and clearing the site of the Great Mosque of al-Nuri, as well as drawing up plans for its reconstruction. The following four years will focus on the restoration and rebuilding of the famous leaning minaret, the prayer hall and adjacent buildings, officials said. The five-year project is also intended to give hope to young Iraqis, UAE Culture Minister Noura al-Kaabi said during a ceremony at Baghdad's National Museum. "The millennia-old civilization must be preserved."